Naps can fix a lot of things. I remember when naps were a daily part of our routine. Morning and afternoon naps, even!! My how times have changed. 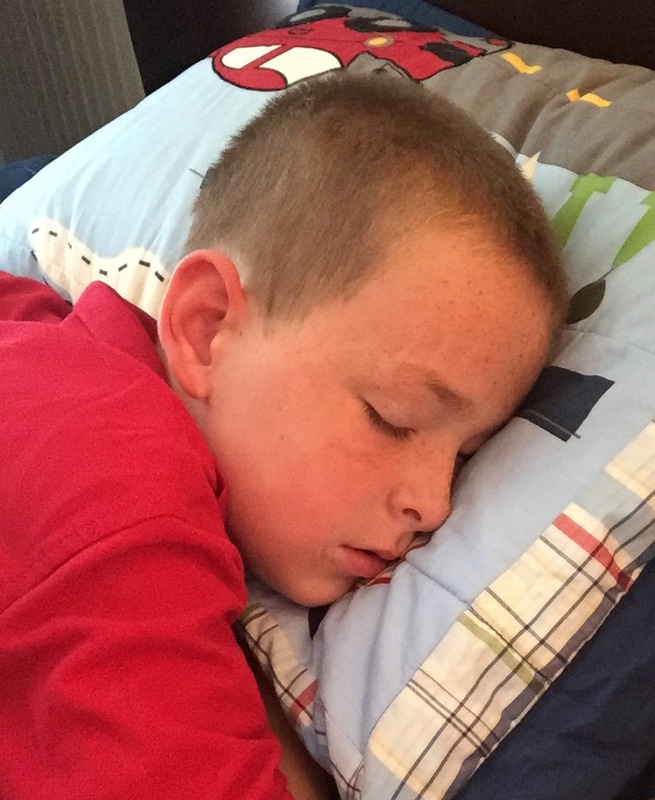 Usually if anyone takes a nap in the afternoon anymore, it’s me….not the kids. On Tuesdays the kids get up at 7:00am and get ready for their two hour Language Arts class. I get two hours to myself each week–doesn’t seem like enough, but it’s the truth. When I went to pick up the kids from class, they entered the car immediately asking if they could NOT do school today. I told them we were doing school today…of course. They were not happy and fed off of each other’s bad attitudes. By the time we made the five minute ride home I had already decided to call the principal. I put Josh on speaker phone, and he reminded them that school work is what they do everyday and it should be done with good attitudes. He goes on to tell them how wonderful their teacher is for giving up her life for their betterment. And I smile at them and nod my head while he finishes up his speech. The talk did some good, and we finished most of our school before Mack had a break down. He isn’t usually so touchy, so with football practice tonight, I decided we would read on his bed together. It’s my way of having him lay down and take a nap without actually saying the word nap to my 8 year old. He did his best to fight against laying still until I told him all he had to do was lay still for ten minutes. We had a discussion about how long ten minutes was, and he agreed to be still. “But only for ten minutes!! !,” he insisted. And here he is. Ten + ten + ten minutes later. I’m feeling confident the evening is going to go much smoother than our morning! Thank the Lord for naps! Previous Post Sometimes He Listens…..
Next Post Sometimes you need a doughnut….